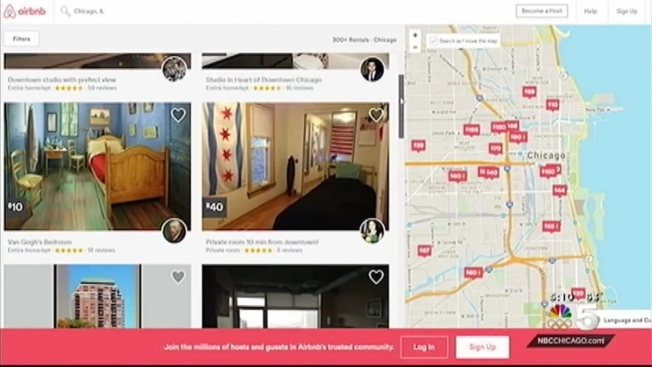 Mayor Rahm Emanuel is backing a proposal by Chicago aldermen that looks to use a 4 percent surcharge from house-sharing businesses, like Airbnb, to fund services for the city’s homeless. The surcharge would create a dedicated source of revenue to combat homelessness in Chicago. The plan would make Chicago the first city in the nation to use money from house-sharing businesses to improve conditions for its homeless population. “The Mayor supports the proposed legislation because it will create the city’s first revenue source dedicated solely to supporting homeless services, which will allow us to expand our existing efforts to provide homeless individuals and families with critical services and housing opportunities that they need to get back on their feet,” Emanuel spokeswoman Lauren Huffman said in a statement. The legislation builds on recent initiatives by Emanuel’s administration to improve opportunities and service delivery for the city’s homeless population. These include the mayor’s task force to reduce homelessness and a pilot program dedicated to finding the chronically homeless permanent housing. Emanuel originally proposed a 2 percent surcharge in January before aldermen amended the ordinance. The latest ordinance was introduced last month. A vote is expecected at this month's City Council meeting.